Fryeburg Academy’s Robotics Team is Ready for the State Championship! 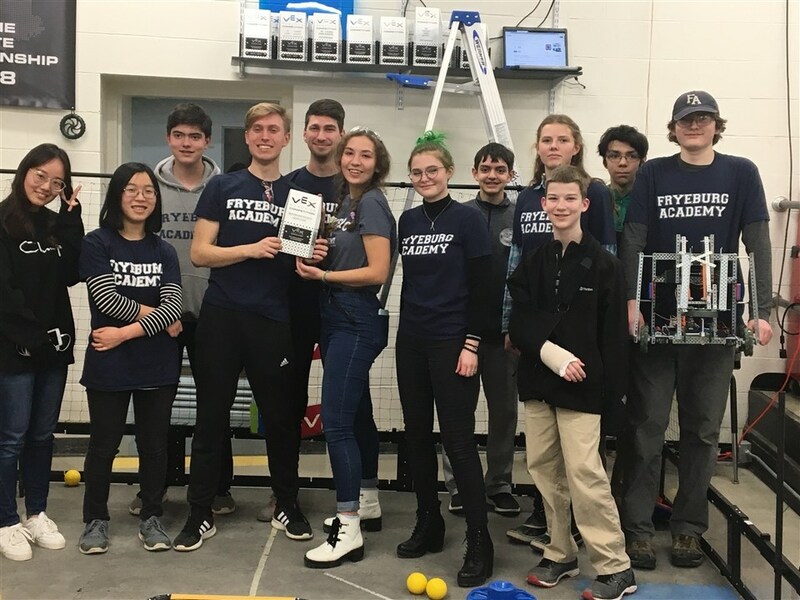 The Fryeburg Academy‘s Robotics Team is headed to the State Championship after winning first place at the Southern Maine Vex Robotics League finals at Cape Elizabeth High School back on Tuesday, January 22nd. David Sartory, Fryeburg Academy‘s Robotics Coach and Computer Science Teacher stopped by the Magic Morning Show today to talk with Gino about making it to the championship and what the robotics team is all about. Joining David on the show was students and team members; Tonia Zakrochemna and Artem Laptier (both from Ukraine), and Nico Zakon of Fryeburg. Listen to their interview below! The Vex Robotics League State Championship competition will be held in South Portland, ME at the Point Community Center on February 23rd and will host over 50 teams from across the state in an all-day tournament. We wish them the best of luck and hope they can bring home the title!